Though Brian Wilson’s last proper solo album, That Lucky Old Sun, was released in 2008, it’s hardly been a quiet seven years for the former Beach Boy godhead. But overall, the 2000s have been kind to Wilson’s solo work. He released his own brilliant take on a once-lost masterpiece with Brian Wilson Presents Smile in 2004, and four years later he followed it with an unexpected home run: That Lucky Old Sun, an LP-size celebration of California life that featured spoken-word work from frequent collaborator Van Dyke Parks. Maybe the proper Beach Boys weren’t the right venue for Wilson, but there’s no denying that the songwriter could still release consistent, sharp new material. The same can’t be said for his latest LP, a spotty 16-track collection that only shows hints of Wilson’s greatness. Sure, there are moments of harmonious glory: the intro to “Our Special Love,” as well as the many tracks that feature former Beach Boys David Marks and Al Jardine. The surprise album standout, a country-tinged tale of former glory titled “Guess You Had to be There” that gets help from breakout star Kacey Musgraves. But the punny-titled No Pier Pressure has moments that range from the pretty good—“Saturday Night” with Fun.’s Nate Ruess, Musgrave’s “Guess You had to be There,” the heartbreaking “The Last Song”—to the godawful. I would rather sign a binding contract to complete the P90X workout program in the deepest, most humid armpit of the U.S. than ever again relisten to the throbbing beat-and-sax-heavy number “Runaway Dancer,” which somehow made its way to the album’s second track. And then there’s everything between—which, with No Pier Pressure’s space, most of the album’s tracks contain. Tracks like “Don’t Worry” and “Whatever Happened” contain the classic Beach Boys elements—the latter of which contains an impressively Carol Kaye-esque bassline. 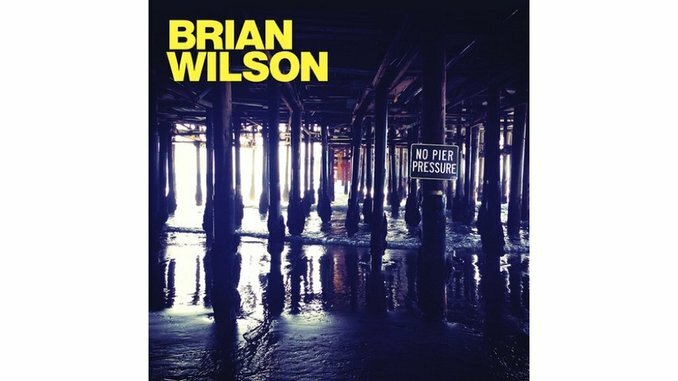 But between hints of the past’s greatness and some head-scratching choices otherwise, Wilson’s No Pier Pressure lives in a pleasant, inoffensive middle—and that’s a quality seen nowhere across his most daring, adored works.